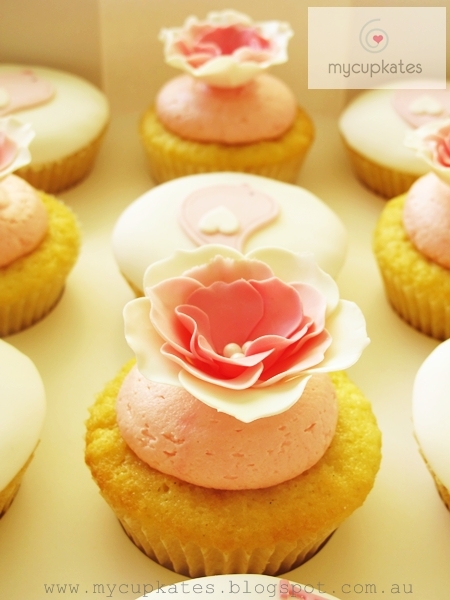 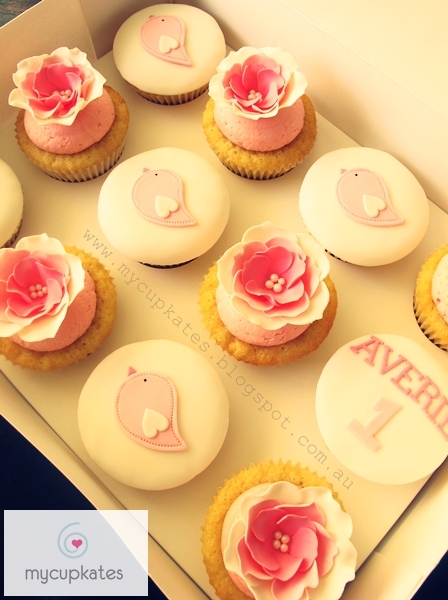 The theme of Aveire's 1st birthday party is a bird, light pink & hot pink. 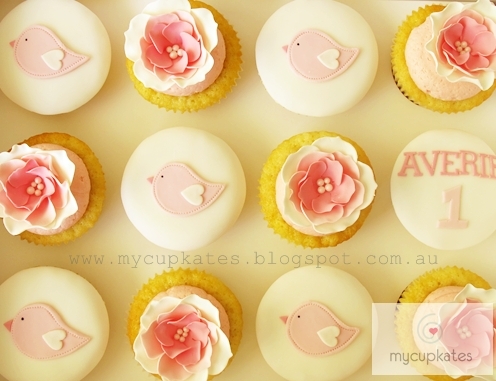 tried to achieve cute, soft & lovely look just like a baby princess, Averie. 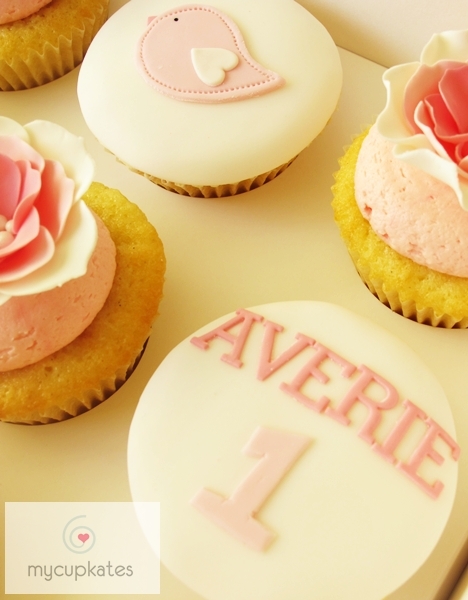 giving me a chance to make Averie's 1st birthday cupcakes.